The matisgenka communities of Tsirerishi and Tayakome, located in the Special Use Zone of the Manu National Park, are fishing communities with a wide traditional ecological knowledge of fish species and vast experience in the art of fishing from a young age. Fishing, in addition to constituting one of its main provisioning activities, is interconnected with other dimensions of the social life of this population. Since 2018, together with the Wildlife Conservation Society, San Diego Zoo Global-Peru has been developing the “Citizen Science for the Amazon” project. 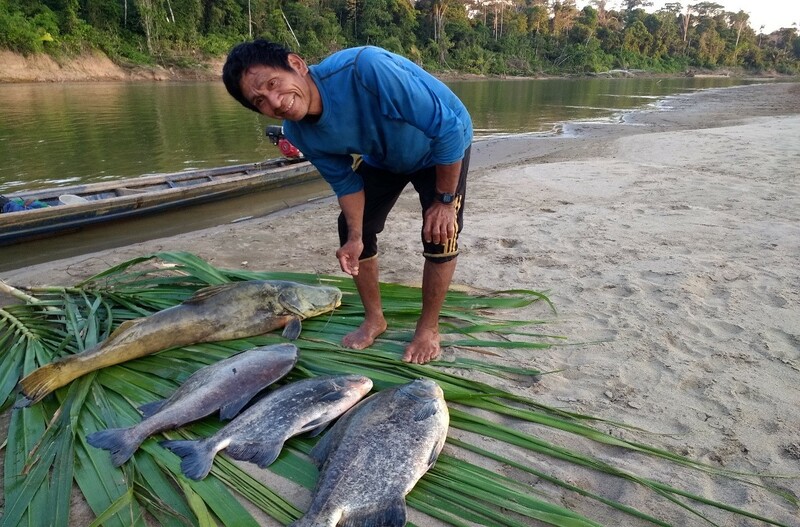 This project seeks to answer the questions where and when fish migrate in the Amazon basin and what environmental factors influence these migrations. It does this through the cultural exchange and training of local fishermen on the use of technologies, in order to collect valuable information that reduces information gaps and contributes to improving scientific knowledge for the conservation and sustainable development of the Amazon. Thus, the Ictio android application, developed by Cornell Lab, allows fishermen to register their fishing locations, the number of captured individuals and their biomass, as well as add photos of these, among a predetermined list of migratory fish. The generated lists are sent from the Cocha Cashu Biological Station, with the commitment to return the data to citizen scientists in a way that is useful to them, and to provide public, safe, and easily accessible information. So far, we have been working with 9 Matsigenka fishermen, and more than 300 fishing lists have been sent from Manu. The Matsigenka fishermen, for the most part novices at handling cellular phones, achieved an excellent appropriation of the technology, although in the case of older people they preferred the use of fishing logs on paper, data that was then passed to the app with the help of the youngest. As part of the project, interviews are also carried out with the local population. The Intercultural Environmental Education Program of San Diego Zoo Global-Peru, and School No. 52240 of the Tsirerishi community, designed and implemented a learning session based on their fishing practices, fish species, and local fishermen. This initiative also seeks to highlight the sophistication of local and traditional knowledge of the Matsigenka in Manu, keeping in mind that progress in sustainable management is linked to possible synergies between traditional knowledge and scientific knowledge. 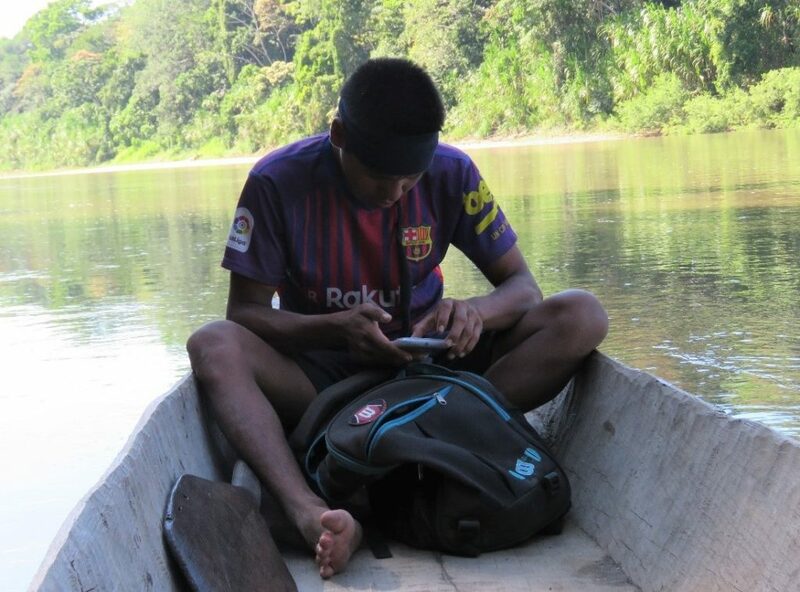 Fishermen and scientists participate in the Citizen Science Project for the Amazon across various sites in the Amazon Basin, and it involves more than 40 partner organizations from Peru, Bolivia, Brazil, Colombia, Ecuador, the United States and France, of which 17 lead pilot sites. “I first visited Cocha Cashu in 1996 to look for a potential Ph.D. project. Since that time, I fell in love with this place and its beauty! If you wish to experience undisturbed nature, its amazing beauty, its complex ecological processes, and scientific challenges then Cocha Cashu is your place! No single species has ever been lost; many species still need to be discovered. 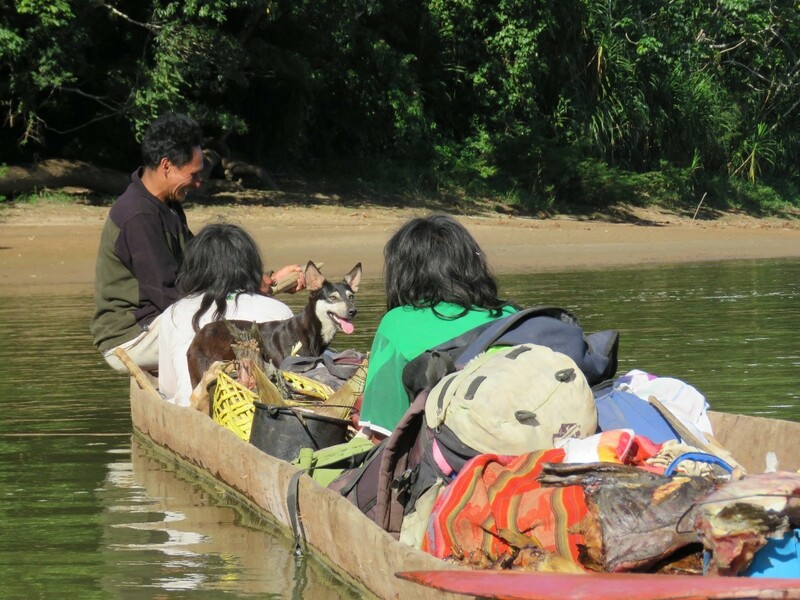 No fragmentation, no hunting, no deforestation, or any other human impacts happen here! What you will find is a pristine natural beauty and the overwhelmingly complex ecology that occurs in the largest continuous Amazon rainforest in the world! What I want to highlight is that since working in Cashu, I met so many wonderful people with whom I shared special moments! I will never forget the moment when I arrived at Cashu as a young naïve student. Years later, I have been privileged to share this very special place with my undergraduate and graduate students! For many years now, I have been able to bring Towson University students to Cashu and teach a four-week tropical field ecology class. Many of my students described their experiences as “[this was] the best time of my life”. This is probably the most challenging class for me and the craziest time of my year. However, being able to share this unique forest with my students is just “priceless”. For all these years, I really want to thank Dr. John Terborgh, a wonderful friend and an amazing mentor who encouraged me to work at Cocha Cashu, for his incredible years of post doc mentorship, and for his amazing 30 years effort to keep Cachu one of the most amazing study sites in the tropics!"